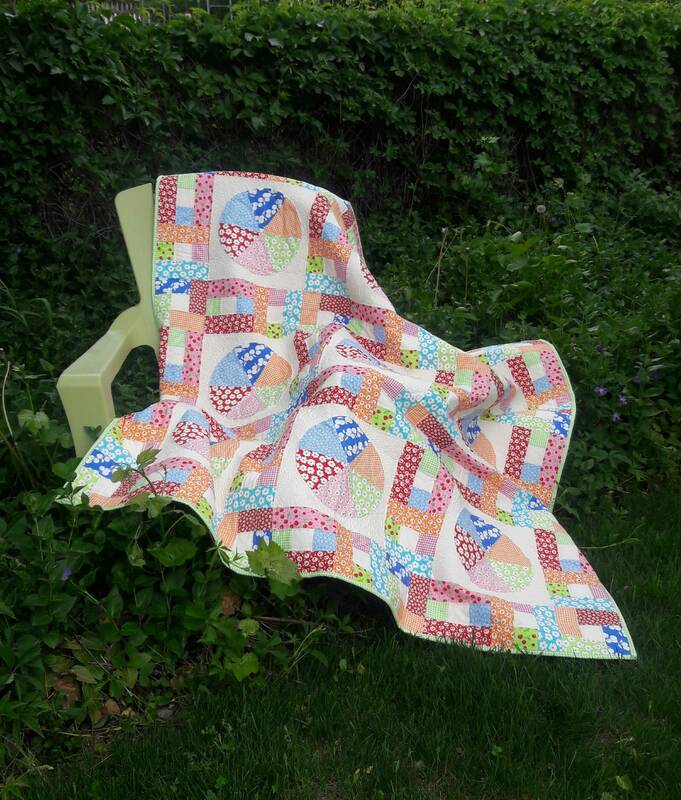 Pieced circles are appliqued then surrounded by a patchwork, scrappy, lattice border in this fun picnic quilt. 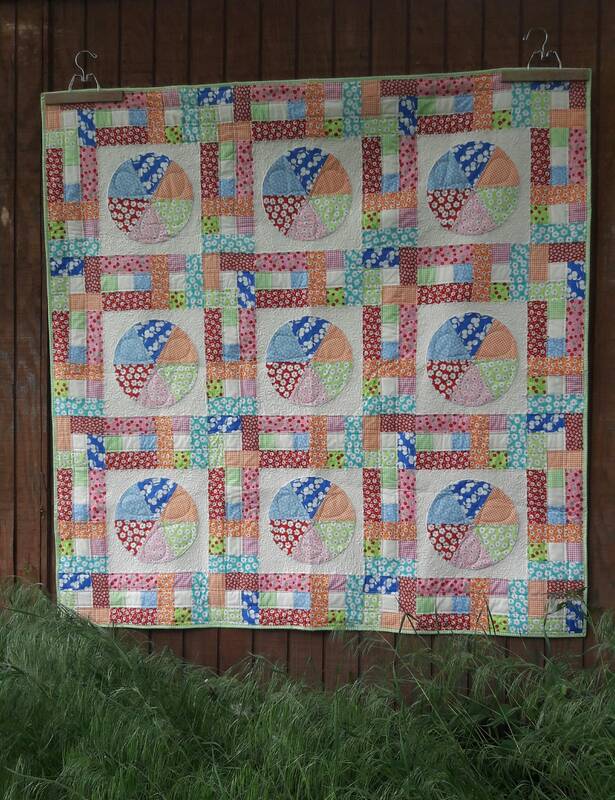 Pictured quilt features the fabric line Badda Bing by Me and My Sisters for Moda. 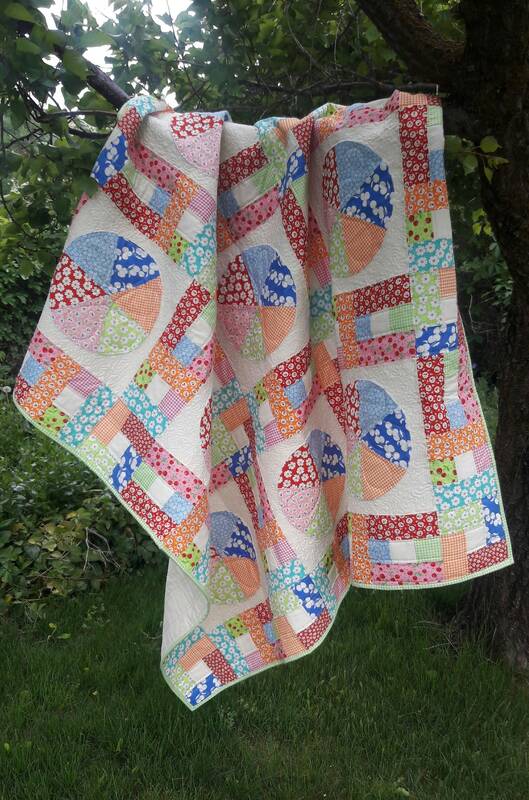 Finished quilt size is 62" x 62"